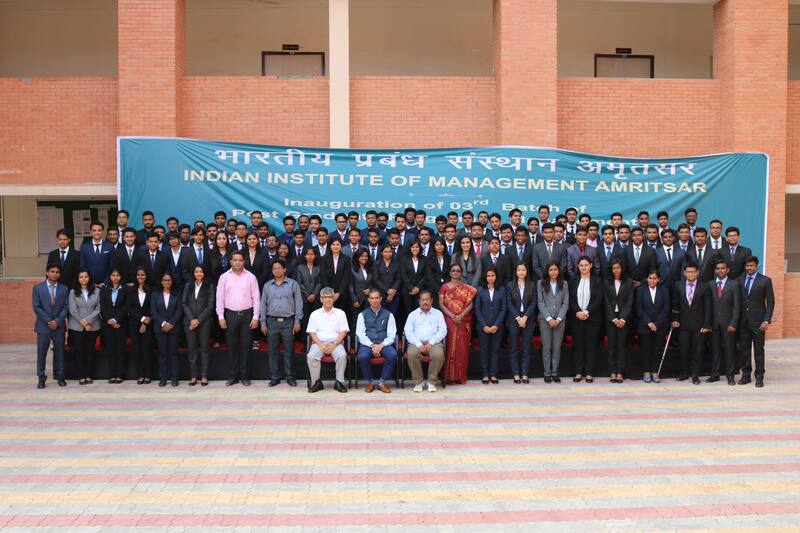 Indian Institute of Management, Amritsar hosted an interactive session with Mr. Subashish Sarkar, COO, Reliance Entertainment Pvt Ltd.
“Have passion for your job”, was the first advise that Mr. Sarkar had in store for the PGP students, as he talked about his journey through various verticals in life. The session then moved to niter gritter of Indians entertainment industry. The trends, be it phenomenal growth rate of media, mobile and digital industry growth or even television software production condensed at just one point i.e., in order to succeed one has to thing ahead of its time. As the session proceeded, various aspects of media, be it television, print or radio were paraphrased by Mr. Sarkar. he also enlightened students about various financial models that film industry adhere to and how the industry can play a vital role in changing perceptions and in turn monetizes it. Students were taken back in time as the speaker/guest talked about the evolution of film indusTry and its funding. He pointed out that although limited by the number of screens when compared to other countries like China and USA, Indian film industry has been growing in both Hindi as well as regional markets as rightfully reflected by the rise of Tamil, Telugu and even Hollywood movies. He further dived into topic and said that ” you have to find your audience”. no matter how saturated a market may look from above. Towards the end of the interaction, he talked about the digital media, its effect on contemporary world and concluded by rightfully highlighting the fact that Indians in the cusp of digital revolution.